The Tsou (formally Sao) is one of the Taiwanese aborigine groups that together compose the Austronesians in both anthropological academic and official governmental categories. Some scholars divide the group into two sub-groups: the “Southern Tsou” and “Northern Tsou,” based on language and origin myths. Among the southern Tsou, two groups can be separated by subtle linguistic differences: the Kanakanavu and the Hla’alua. Both these two names are terms the groups use to refer to themselves; the first one means “people who live in the Kanakanavu area,” and the second one does not have a clear meaning but is known to be what the group calls itself. The Northern Tsou are also called “the Alishan Group” or “the Alishan Tsou.” They address themselves as “Tsou,” which means “human being” and is written as in Chinese. However, the “Tsou” people did not have a name for the entire ethnic group until the period of Japanese rule, when scholars adopted “Tsou,” meaning “human being” in the northern Tsou language, as the name of the ethnic group in order to categorize the ethnic group. In other words, the name of the ethnic group, “Tsou,” is a creation of academia that was gradually adopted by administration and group members. Therefore, even though now the Kanakanavu, Hla’alua and Alishan Tsou are all grouped into the “Tsou” ethnic group in both academic circles and aboriginal administration, how to position these people in aboriginal categorization has been a tough issue for researchers and group members for a long time. Although some scholars treated these three groups as one ethnic group because of their similar material cultures and customs, they did not have a unified identity, due to their long term hostile relations with one another, mutually unintelligible languages and differing cultural features, such as social organizations, religions and values. In the past decades, a movement to construct Tsou identity (“the Tsou ethnic group movement”) has emerged; for example, the Kanakanavu, Hla’alua and Alishan Tsou have co-held or participated together in the same events under the broad name of “Tsou.” Nevertheless, the “Tsou” identity has not replaced individual group identities for the three group members. Moreover, the differences between the Kanakanavu and Hla’alua and their separate identities remain, and became more pronounced during a series of activities on the topics of traditional rituals, Men’s House reconstruction, native language teaching and traditional songs and dances. For these three groups, whether their ethnicity is “Tsou” or not remains an open question that, as of yet, cannot be answered unequivocally, so it is worth keeping an eye on. 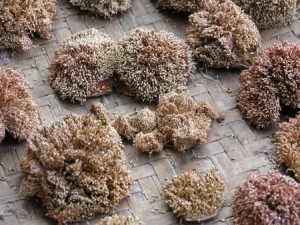 Currently, the southern Tsou, Kanakanavu and Hla’alua, are distributed in Kaoshiung County. The first group lives in Minciyuan and Minsheng Villages in Sanmin Township, and the second group lives in Taoyuan and Gaojhong Villages in Taoyuan Township and Minsheng Village in Sanmin Township. Both of these two groups have a population of more than five hundred people. 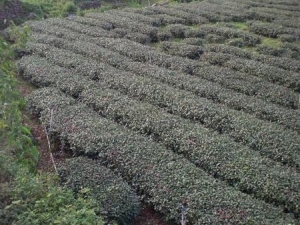 The northern Tsou live in Laiji, Leye, Dabang, Lijiia, Shanmei, Sinmei and Chashan Villages in Alishan Township in Chiayi County, and Wangmei Village in Hsinyi Township in Nantuo County. The total population is up to more than seven thousand including migrants. migrated from the same place in the east that has different names in their languages: Nacunga and Hlahlunga. Ancestors of the Alishan Tsou moved from Jade Mountain to Alishan Mountain. The main living areas of the Kanakanavu, Hla’alua and Alishan Tsou are the Alishan and Jade Mountain regions. These regions contain bountiful animal and vegetable resources in forests and rivers. The Tsou people hunt and fish in this region. They also used to apply slash and burn agriculture on the mountainside, and now plant subsistence crops and cash crops for sale in settled cultivation. Before the Han Chinese and Japanese dominant powers entered into this region, the Kanakanavu, Hla’alua and Alishan Tsou marked out hunting and fishing grounds in the mountains and rivers of their traditional territories, based on the unit of family. Compared to their neighbors, the Bunun, who prefer hunting to fishing, the three Tsou groups have better knowledge of animals and plants in the rivers and they favor fishing more, so fish, prawns and crabs are common food sources for them. Agriculture provides the major livelihood of the three Tsou groups, except for some members who earn their living in cities or as teachers, public and military officials. But very few Tsou people plant subsistence crops, such as millet and rice; instead, they plant cash crops such as taro, ginger, peaches, plums, vegetables, horseradish, bamboo and tea trees. They also collect wild jelly figs for cash. 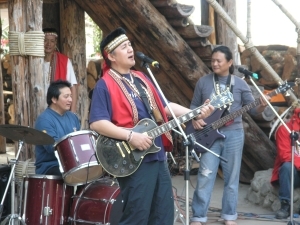 In addition to these economic activities, due to the ecological and cultural tourism that has flourished in recent years in the aboriginal areas, new activities for the Tsou people include running family inns, selling handicrafts, managing aboriginal restaurants, serving as tourist guides and performing aboriginal dancing and singing. In their natural environment, bamboo, Arenga engleri and large animals (such as deer and bears) are abundant. 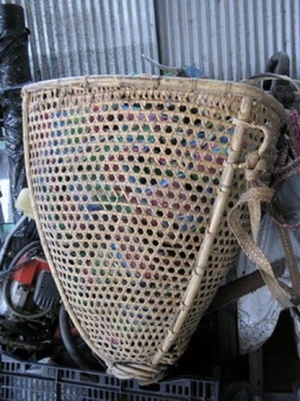 Therefore, the three Tsou groups also live by weaving crafts, including bamboo articles (baskets or back-baskets) and Arenga engleri tools (rain gear and rain awnings) as well as leather tanning crafts, such as leather clothing, hats, over sleeves and pants. 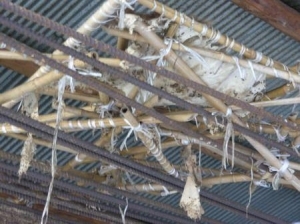 Each of the three Tsou groups, the Kanakanavu, Hla’alua and Alishan Tsou, has its unique “traditional” religion, including faith in supernatural spirits, annual and seasonal production rituals involved with farming, hunting and fishing, and rituals of life cycle and witchcraft. Specially designated religious leaders or ceremonial specialists are necessary to host these “traditional” rituals and ceremonies. 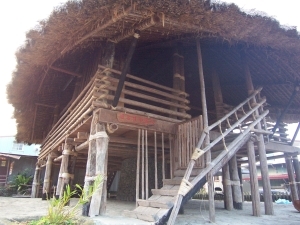 However, since many Tsou people have forsworn “traditional” religions and converted to western religions (Protestantism and Catholicism), and the traditional crop (millet) has been replaced by imported crops (such as wet rice), most “traditional” rituals and ceremonies were abandoned for a long period of time. Nevertheless, the situation has been changing in the past decades. Churches have changed their attitudes toward “traditional” aboriginal cultures, the government has implemented more encouraging policies, aboriginal identity has been strengthened and ethnic cultural tourism has emerged. Due to all of these factors, the three Tsou groups have started to restore their individual, unique and ethnic “traditional” rituals and ceremonies. The restoration has even become an important symbolic mechanism for the consolidation of Tsou identity. For example, the Kanakanavu’s Mikong, Hla’alua’s Miatongusu, and Alishan Tsou’s Mayasvi are three significant rituals in the movement. The current “traditional” songs, music and dances of the Kanakanavu, Hla’alua and Alishan Tsou are mostly calm, solemn and mainly from “traditional” rituals. Recently, the three Tsou groups have had more opportunities to perform their “traditional” music and dance, because on the one hand, the administration has offered more budget resources to encourage aborigines to revive “traditional cultures;” on the other hand, booming tourism has spurred demand. Furthermore, some non “Tsou” aboriginal performing groups have learned and performed the “traditional” ritual music and dance of the three Tsou groups. 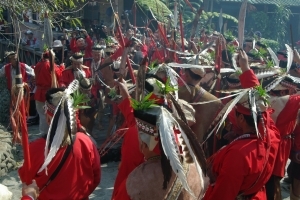 Aside from performing “traditional” songs, some Alishan Tsou people have even revised old folk songs or written new “Tsou” songs and dance when they perform for tourists. These developments have contributed to some extent to the formation of the “Tsou” identity or to the three individual group identities. In their traditional arts and crafts, the three Tsou groups did not elaborate their wood or stone carving to the same artistic level that the Paiwan or Rukai did. 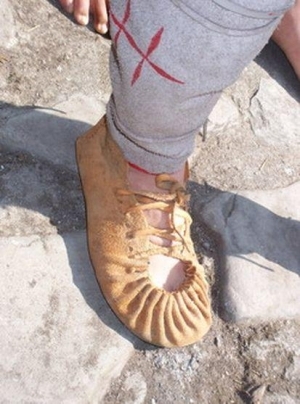 Their pottery techniques also died out. 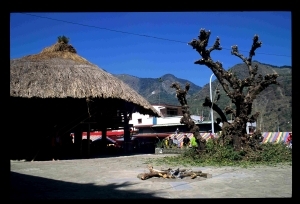 Yet, since Taiwan aborigines have interacted and exchanged more and more frequently, some members of the three Tsou groups have engaged in the professions of creation, production and sale of artwork or handicrafts such as wood carving, leather carving, bamboo weaving and traditional clothing making. In the political field, the Alishan Tsou had been stigmatized and oppressed by the state powers so they were involved in more conflicts and resistance than the Kanakanavu and Hla’alua. Also, the last two groups resided in more remote districts and their personalities were more moderate and temperate. During the 1940s and 1950s, the Alishan Tsou were involved in the events subsequent to the 228 incident, so they were suppressed by the ruling political powers. Until the 1980s, some Alishan Tsou wanted to eliminate the stigma of “Sao” (an old name for “Tsou”) imposed by the WuFeng myth so they launched a social movement to tear down WuFeng’s statue and erase the WuFeng myth from school textbooks. 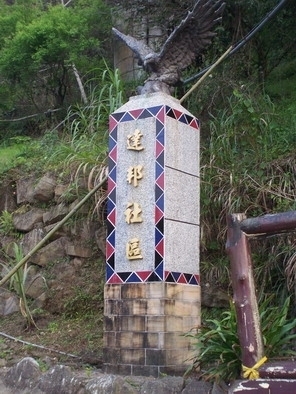 This social movement successfully deleted the myth from textbooks, changed the administrative district of WuFeng Township into Alishan Township, and changed the ethnic name of the group from “Sao” into “Tsou.” In 2003, a new wave of social movement occurred because the chief of Alishan Tsou Dabang tribe restrained some Han Chinese from picking honey in traditional Tsou domains, because the tribe considered it an invasion. Recently, the Taiwanese aboriginal culture revival movement has thrived, so the three “Tsou” groups have actively followed the social trend, which includes a renaissance of native languages, restoration of “traditional” rituals, and performance of “traditional" music and dance. All these activities to some extent have improved the identities of the Alishan Tsou, Kanakanavu, Hla’alua and the entire “Tsou.” The current national polices have treated the Taiwanese aboriginal subjectivity with more and more respect. Aborigines also hope to revive traditional cultures and advance ethnic identities. In this modern context, the representation and continuation of the identities of the Kanakanavu, Hla’alua, Alishan Tsou and the entire “Tsou” will be an interesting issue that merits further consideration. 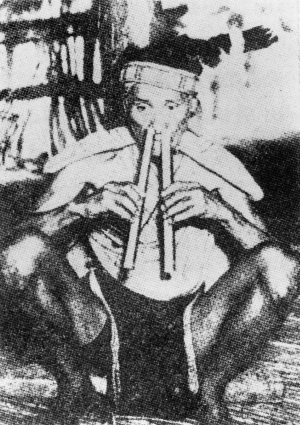 According to oral history, there were at least four main tribal systems in the Alishan Tsou. All of them governed several small tribes and formed individual systems. Sometimes they went to war against one another, sometimes they formed alliances. They also had hostile relations with the Kanakanavu and Hla’alua in the neighboring hunting domains because of competition for hunting grounds and due to head hunting. 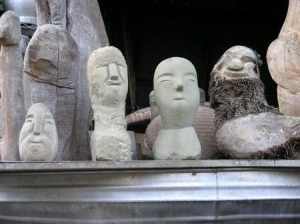 Therefore, before researchers put all of them into the “Tsou” ethnic group, the three groups did not have the same ethnic identity, nor did the four main tribes in the Alishan Tsou. However, hostile relations did not exist among the Kanakanavu tribes or the Hla’alua tribes, only alliances. Until KMT rule, scholars, administration and the media continued to call the three groups “Tsou” (or “Sao”), so they gradually learned the ethnic name. Along with the improvement of transportation, they have had more chances to communicate and interact. They have invited each other to rituals and ceremonies, and also exchanged experiences as the same "Tsou” group. But since frequent interaction has only occurred in the past decade, it is still a new experience for them, not something familiar from history. They do not share the same “Tsou” language either. Many members of the Kanakanavu, Hla’alua and Alishan Tsou still do not comprehend the idea of “Tsou” ethnic identity and boundary, or even oppose it. Issues of individual identities of the three Tsou groups and a united identity of the “Tsou” ethnic group remain open and are discussed in a broad discourse. Inner tribal identities in these three groups also remain in flux, because of the formation of community development associations and ethnic group development associations.